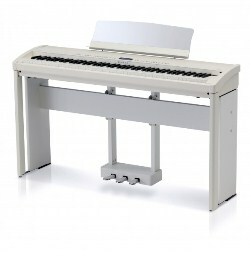 The ES8 is an ideal piano for schools, or those who need to move their instrument regularly, as it is so portable. 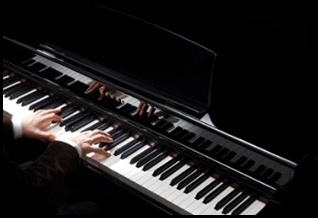 The Portable piano uses many of the high quality features of the Classic and Concert series, but its versatility is an enormous benefit. The beautiful HM-4 Design Kit makes the ES7 a stylish digital piano. It contains the stand and the acrylic music rack. In addition this set can be expanded by the 3 pedal unit F-301. Visit here for a full demo.